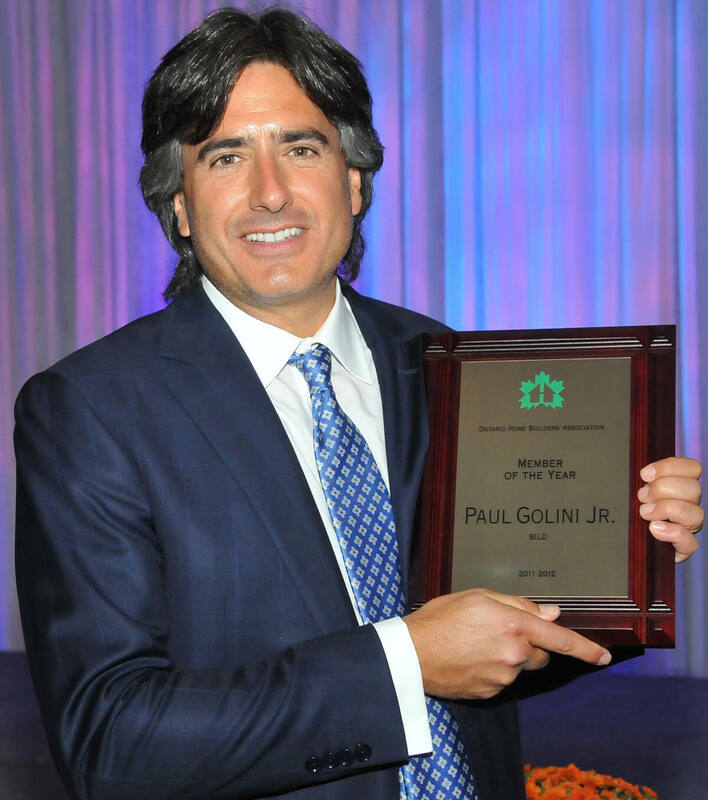 For the past year, Paul Golini’s name has been synonymous with BILD. As a strong, compassionate leader, Golini has helped guide the organization through one of its toughest transitions following the unexpected and sudden loss of the association’s long-time CEO and president Stephen Dupuis. 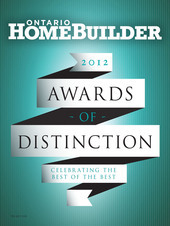 And for his contribution and dedication, he has been recognized as the 2012 OHBA Member of the Year. “Paul has demonstrated what true leadership is,” said president Leith Moore during the award presentation. The sudden death of the association’s long-time leader certainly cast a shadow on the entire industry, but Golini, executive vice president and cofounder of Empire Communities, stepped up, recognizing the need to keep things moving forward. He saw the need to “make sure that the membership, as well as the industry that supports BILD, kept it together during this tough period,” said Golini. Another major challenge, which was directly tied to Dupuis’ passing, was finding someone to take of the helm of the organization. Golini led the internal national search committee, which culminated with the hiring of Bryan Tuckey as BILD’s new president and CEO. “We were looking for someone who would be representative of BILD and all the great things that Stephen Dupuis brought to the job, but someone who was also looking forward to where BILD was going as an industry association in the years to come,” Golini said, adding that he’s confident that they made the right choice with Tuckey. In terms of receiving the Member of the Year award, Golini called it “special and a great surprise. No one ever gets involved with these types of volunteer positions for awards, but when it happens, it’s a great show of gratitude and appreciation for all the hard work and hours put in,” said Golini, humbly adding that he couldn’t have done what he has without the support of his business partners and family.